This rich and tasty vegetarian rigatoni pasta alla parmigiana recipe from Southern Italy is made with the same ingredients as eggplant parmigiana and tastes just as wonderful! It can be baked or eaten without baking. The combination of baked eggplant, tomato sauce, mozzarella and basil known as eggplant parmigiana is one of Southern Italy’s most famous dishes. And, quite rightly so! It’s so delicious! Do you like it? If so, you’ll love this pasta recipe! A little alla Parmigiana history. Many food historians believe that the word parmigiana actually comes from the Sicilian word “parmeciana”, the set of wooden slats that form a window shutter. Whereas, others claim that ‘parmigiana’ derives from ‘petronciana’ a word of Persian origin, which was the name given to eggplants when they first arrived in southern Europe. In addition, there are those who believe that the expression cooking ‘alla parmigiana’ originally meant cooking Parma style. This, they say, was a method used in the Middle Ages of preparing vegetables by layering and stuffing them. This method spread from Parma to Campania and Sicily through the centuries. And, over time, became popular in recipes made with ingredients that didn’t exist in Italy in Medieval times. The origins of ‘alla parmigiana’ seem unclear. 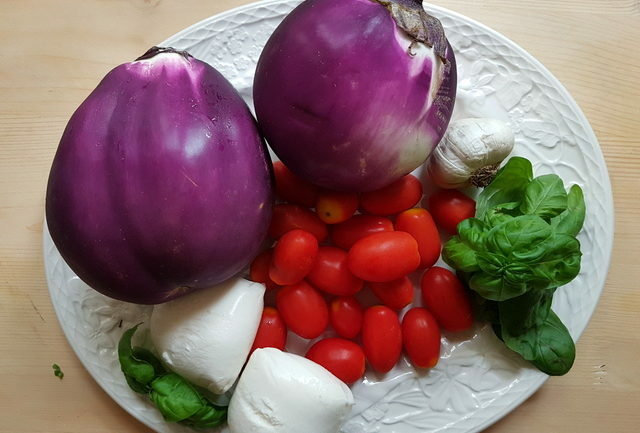 However, the first published recipe for eggplant parmigiana (as we know it) is in the 1839 Neapolitan cookbook ‘Cusina casarinola co la lengua napolitana’ by Ippolito Cavalcanti. But, early Sicilian versions weren’t made with mozzarella since this cheese was first produced in Campania and Molise. It’s most likely the Sicilians used pecorino. In Sicily, a similar recipe to rigatoni pasta alla parmigiana is pasta alla Norma. 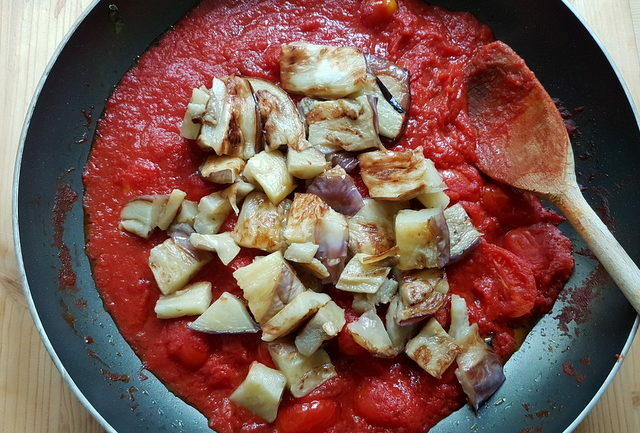 This is also made with fried eggplant, tomato sauce and cheese, but the cheese is usually salted ricotta (ricotta salata) and the dish is not usually baked, although it can be. In fact, some Italians refer to pasta alla parmigiana as pasta alla Siciliana because of the similarities between the two dishes. You can find recipes for both versions of pasta alla Norma here on The Pasta Project. Different pasta alla Parmigiana recipes. As I mentioned before, pasta alla parmigiana can be baked or served straight from the pan without baking, like in this recipe. When baked, it can either be prepared like a classic pasta al forno or as a timballo. Al forno involves just mixing the sauce with the precooked pasta and baking it in a hot oven with a layer of mozzarella and Parmesan on top. A timballo is slightly more complicated. In this recipe, the pasta, sauce and mozzarella slices are encased in the eggplant slices and baked in a high sided loaf or cake tin. Parmigiana timballo is usually made with long ziti or zitoni pasta. 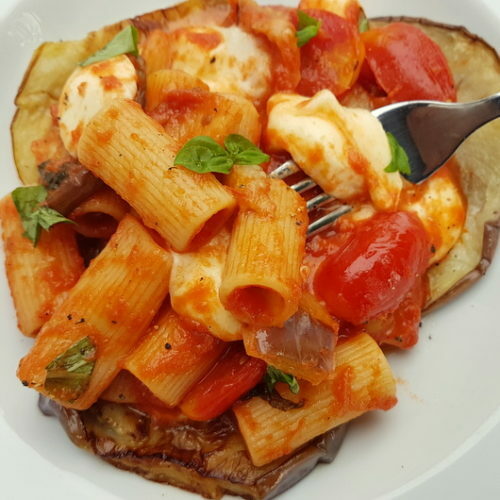 Although much has been written about the history of eggplant parmigiana, I couldn’t find the origins of when Italians started to eat parmigiana together with pasta. However, when or where ever that was, the idea was brilliant. This is a super tasty vegetarian dish that is bound to be a winner with anyone who likes the flavours of eggplant parmigiana. If you make this rigatoni pasta alla parmigiana recipe, I’d love to hear how it turns out and if you liked it. So, please leave a comment here on the blog or on The Pasta Project Facebook page. 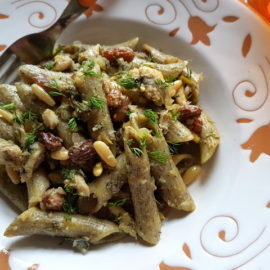 Other eggplant and pasta recipes to check out here on The Pasta Project! This rich and tasty vegetarian rigatoni pasta alla parmigiana recipe from Southern Italy is made with the same ingredients as eggplant parmigiana and tastes just as wonderful! 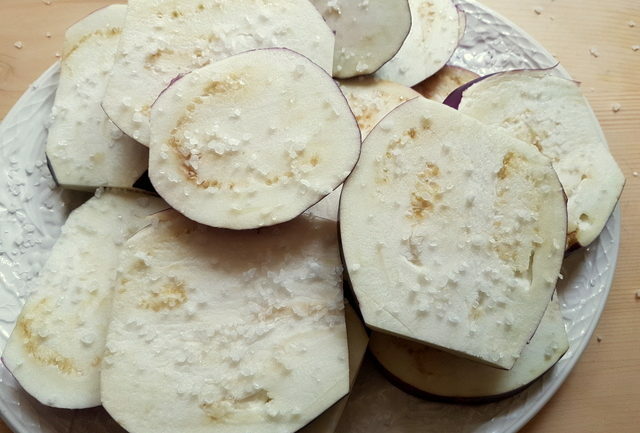 Cut the eggplant into thick slices and cover with sea salt in a colander. Leave them for about 30 minutes. Rinse off the salt and pat dry with kitchen paper. 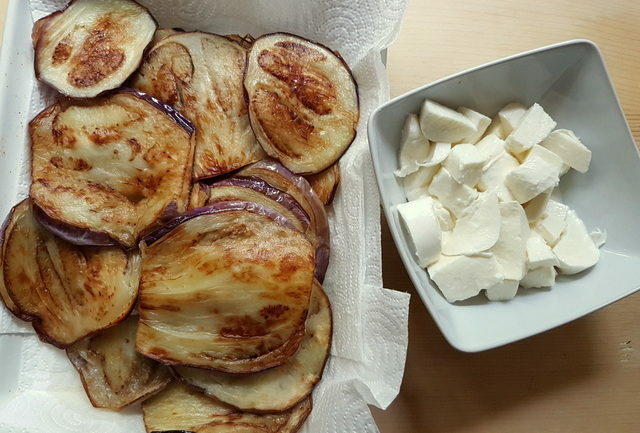 Fry the eggplant slices in hot olive oil until they are quite golden on each side. Set aside on kitchen paper to allow most of the oil to get absorbed by the paper. Then cut most of the slices into cubes/pieces, leaving one or two slices per person intact. Keep these warm. Cut the cherry tomatoes into halves (if using). Drain and cut the mozzarella into small cubes/pieces. Peel the garlic cloves. Heat 2-3 tbsp olive oil in a deep frying pan or skillet. Add the garlic and cook until it starts to soften. 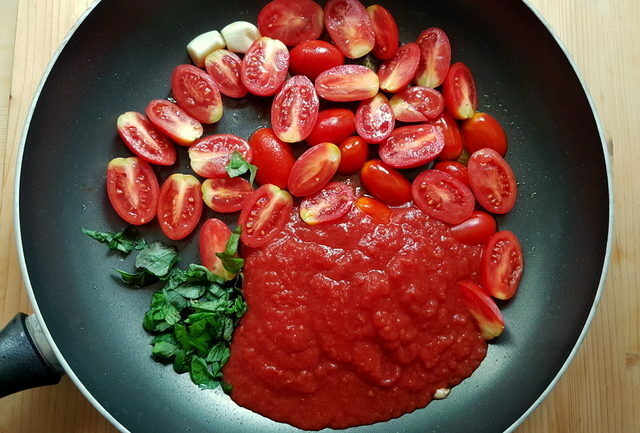 Add the cherry tomatoes cook them for a minutes then add the passata and chopped basil. Stir well and leave to simmer for about 20 minutes. Stirring occasionally. Season with salt and pepper. Then remove the garlic. In the meantime, put a pot of water on to boil for the pasta. Add salt once it starts to boil. Bring to the boil again and add the pasta. Cook the pasta al dente according to the instructions on the packet. When the pasta is ready, save a cup of the cooking water and drain. 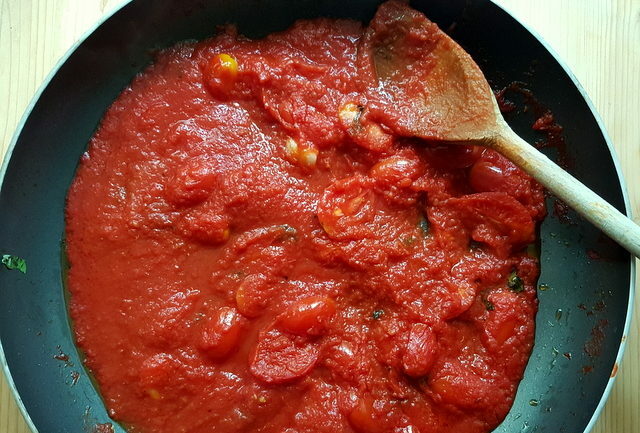 If the tomato sauce seems too thick add some of the saved pasta water and stir. Add the eggplant pieces to the tomato sauce. Mix together well and then add the drained pasta. Mix again and add the mozzarella pieces. Cook for a bit over a low heat until the mozzarella starts to melt slightly. Put one or two whole eggplant slices onto a plate. Place a serving of the pasta on top of the eggplant slices. Serve immediately with a sprinkling of chopped basil and grated Parmesan. 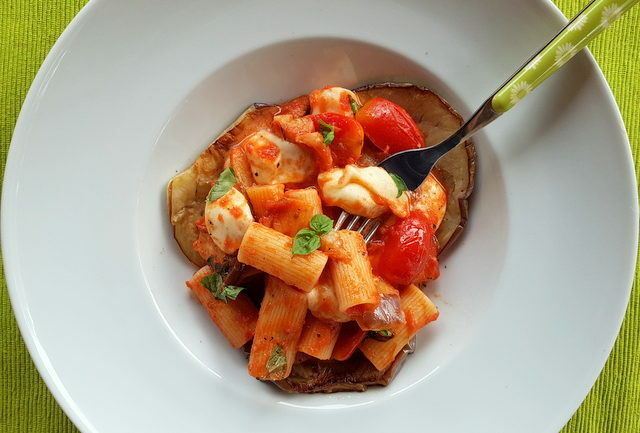 This recipe can be made with other short pasta tubes such as penne or tortiglioni. You can finish this dish off in the oven. Put the pasta mixed with the tomato sauce, eggplant pieces and mozzarella pieces in a greased oven dish. Cover the top with more mozzarella slices (if you want) and grated Parmesan. Bake in a preheated oven at 180° until the top is browned and crispy. This dish looks delicious! I love how simple it is and how few ingredients there are – but it’s still super flavorful! Thanks Stephanie! 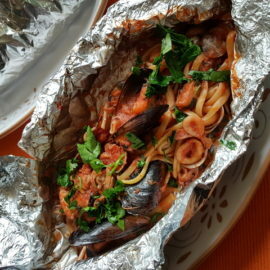 Yes this is a great recipe full of wonderful Southern Italian flavours and pretty eay to make! Always enjoy seeing your food and this pasta recipe is simply the best. I can eat pasta any day of the week. Thanks so much Mirlene! I’m happy you like my pasta dishes! Yes, this recipe is fab. Wonderful Southern Italian flavours! I’m not personally a fan of eggplant, but I love everything else in this dish. There’s not much better than melted, gooey cheese 🙂 And I can definitely see this one on my dinner table very soon. The Rigatoni pasta is one of my favorites and this version is so clever and yummy. Love the addition of the eggplant adds great flavor and texture. Another amazing pasta recipe! Love love love Parm cheese on everything! This looks so yummy, will have to give it a go this weekend! Those little nuggets of melted cheese look so good! I can never resist a cheesy pasta. Can’t wait to give this a try! I’m sure you’ll love this dish Amanda! I agree that just melted mozzarella is so good! You don’t have to ask me twice to eat pasta for dinner. I would eat it for breakfast and lunch too. This recipe sounds delicious. Easy to make, and the leftovers would be great too. Pasta is always a winner in our house. I’m with you on pasta for breakfast Gloria! When I have leftovers of this dish, I bake them. So good! Yum !!! I love that this dish is vegetarian and from Italy. Great dish. Thanks so much Shernell! 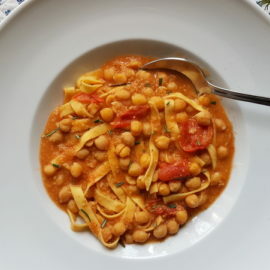 There are lots of Italian vegetarian pasta recipes but this is definitely one of my favourites! I love eggplant, it is a perfect sub for meat in any kind of dish. And all your pasta dishes look amazing, including this one! Aww thanks so much Stine! So happy you like my recipes! Yes aubergine is a great veg. I cook it a lot, not just in pasta! I knew from the photo that you were in Italy, Italian, or at least European. There is a sensibility about pasta that is just glaringly different on either side of the pond. This so refreshing to see. Let’s be friends. Your food ethos I can definitely live with. I’d love to be friends! Pasta has a special place in Italians’ hearts and their food culture. It can be a simple quick family meal or a Michelin star work of art! The best thing is Italians nearly always use fresh, seasonal and locally grown/made produce so even the simplest dish tastes amazing! 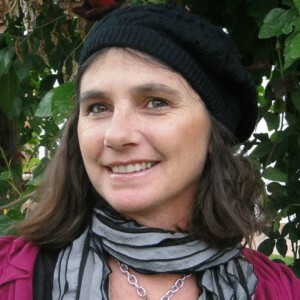 This is one of my favorite blogs. I want to eat every pasta dish you make. This one stands out because of the eggplant which I love. That’s such a lovely thing to say Jere! I’m thrilled you like the recipes I post. Yes the eggplant makes this dish so yummy! I love those parmigiana flavours! 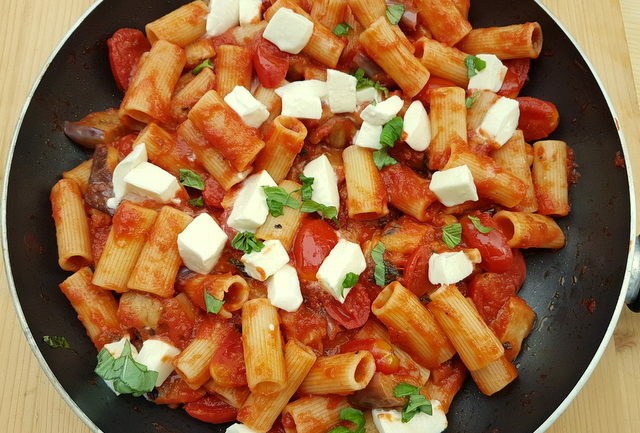 This rigatoni pasta dish looks so fresh and delicious. I know this will be loved by everyone at our house. Thank you Kelly! I’m sure your family would love this dish. It’s a favourite at my house too! That eggplant looks like it’s cooked PERFECTLY! everything is so vibrant and fresh. I just brought my potted basil plant indoors so I can use it for a while longer… nights are getting chilly here in NH! I can’t wait to make this now, although I think I’ll have to use a different type of pasta, I’ve not seen this one. Grazie Catherine! My basil plants are now inside too. It’s getting chilly at night here in Northern Italy, although the days are still quite warm. I’m sure you’ll love this dish. Of course you can use other types of pasta. I’d go for pasta tubes like short ziti or penne! Drooling. Love the step by step photos too, super helpful. I’m thinking this with some cashew cheese would be ammmazing. Thank you cara Deryn! So happy you find the photos helpful! I know I like seeing step by step photos when I’m searching for recipes! I’ve never had cashew cheese but sounds delicious! This dish looks so wonderful. 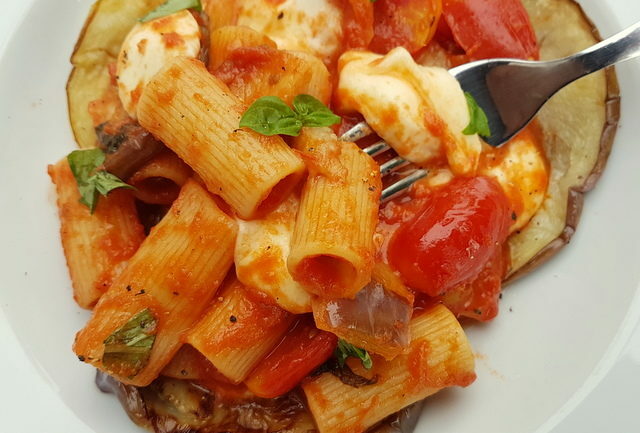 I love the eggplant and mozzarella, and rigatoni is one of my fave pasta shapes. Pinning to try!